It’s been a while since I last posted on more general immersive experiences, but I should get a post out pretty soon. 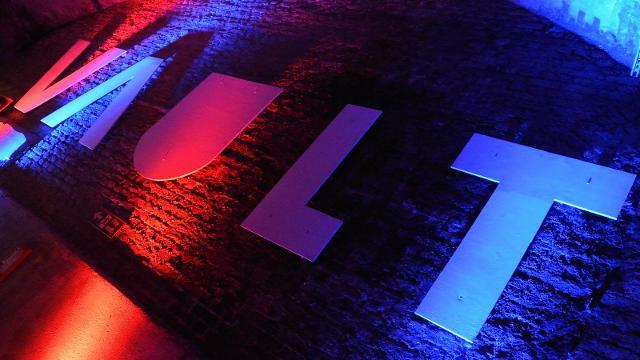 Before that, though, I wanted to highlight the Vault Festival – an arts and entertainment festival that takes place each year in the vaults under Waterloo station. Each year I trawl through the (literally) hundreds of shows, looking for things that push my buttons – usually immersive gaming experiences. The great news for fellow immersive gaming lovers is that the list of interactive experiences grows ever longer. This list isn’t meant as recommendations. It’s purely to highlight a few shows that might be of interest to readers of this blog and, unless otherwise stated, I know nothing about the companies, let alone the shows they’re producing. A show where you watch a couple on a date answering 36 questions that are designed to make them fall in love (see the NY Times article if you want to know the origin). The twist is that the answers are chosen by the studio audience and that determines the couple’s fate (and presumably the answer to the 37th question!). The show was well received at the Edinburgh Fringe. Returning after a successful stint last year, this is one of the few shows that I’ve already been to. Think a John le Carré-style story with a single actor but a load of audience members getting bit parts (or more!). If you like Improv but still want a clear storyline running through the whole experience, I think this will fit the bill perfectly. If you’ve been wondering what all the fuss about Megagames is, now’s your chance to try one out. If you have no idea what one is, it’s broadly a large-scale role-playing game where you work with and against other people to achieve a common goal while also achieving individual goals. Or something like that. In this (reasonably well known) one, you’re tasked with bringing a group of astronauts back from space. I hope that helped guide you towards some interesting and interactive shows at this year’s Vault Festival. If you fancy making an evening of it, then make sure you check out their website – there are literally hundreds of shows on over the six-week stint, so you’re bound to be able to combine a couple of things and make a fun and full evening of it. If you attend any of the above, please let me know what you think!